We have had offers of donations of equipment, of internships for doctors from Afghanistan and the provision of a lecturer from Germany in Kabul. 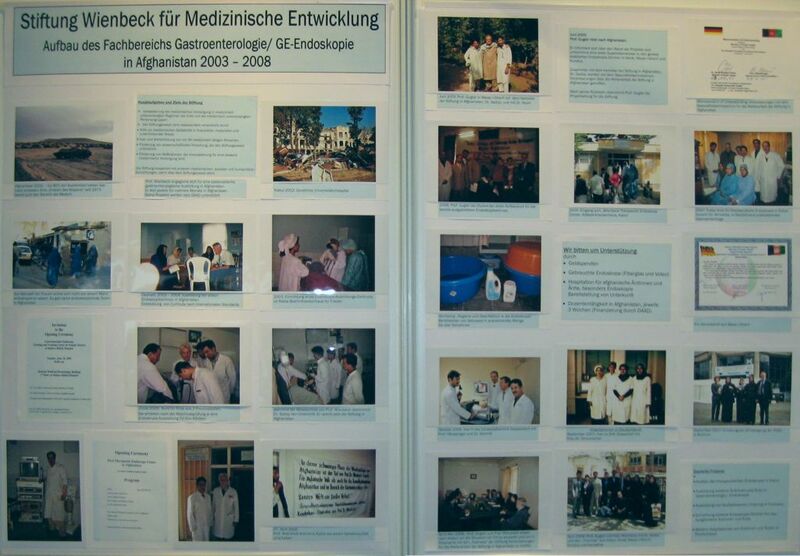 The DGEBV has provided funding for a scholarship for further professional training for two doctors from Afghanistan. These and other offers have been very helpful for the Foundation’s future projects such as providing support for Afghani doctors to study in Germany, delivering an endoscopy course for female doctors in Kabul, and supporting endoscopy centers in Kabul, Mazar-I-Sharif, Heart, Kunduz and Kandahar. Our thanks go to all those who support and take an interest in the work of the Foundation.